This is the place everyone should start with these course modules. 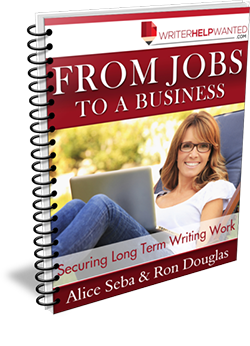 There are so many opportunities to turn writing into a full-time career. This module includes 34 of those markets and gives you ideas approaching them as a freelancer, as a service-based business and even includes ideas for earning passive income. 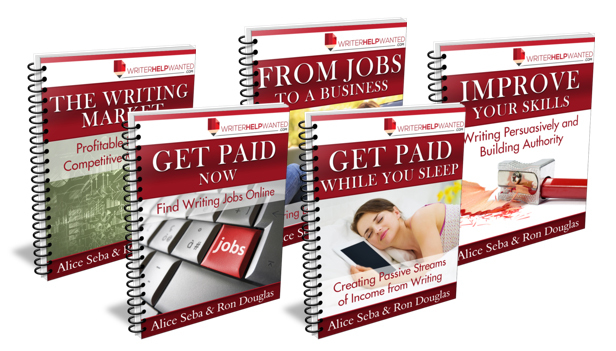 If you’re new to writing for pay, this is a great place to start. 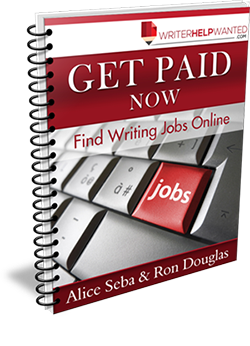 This module will show you where to find writing jobs online and includes tips for getting the job and getting repeat work. Now things are getting really good. 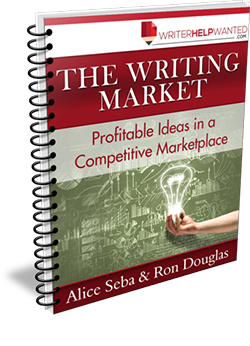 It’s time to move from trading hours for dollars to earning income through writing you do over and over again. 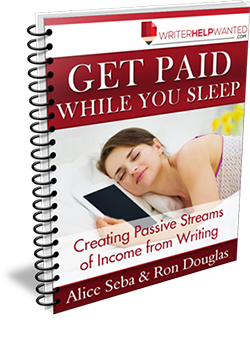 This module may have you exploring new niches or working to create passive streams of income from your existing writing business. It’s all up to you. This module shows you how to find or rediscover your niche, grow your biggest passive income asset and more. Here’s where you take things to a new level. Persuasive writing is a skill that not every writer naturally possesses, but it’s critical, no matter what type of writing you’re doing. Whether you’re trying to engage your audience or sell your products and services, persuasive writing plays an important role. 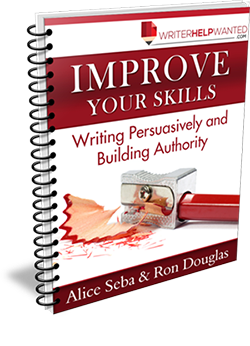 This module teaches you how to develop those persuasive writing skills and helps you establish your authority within your niche.